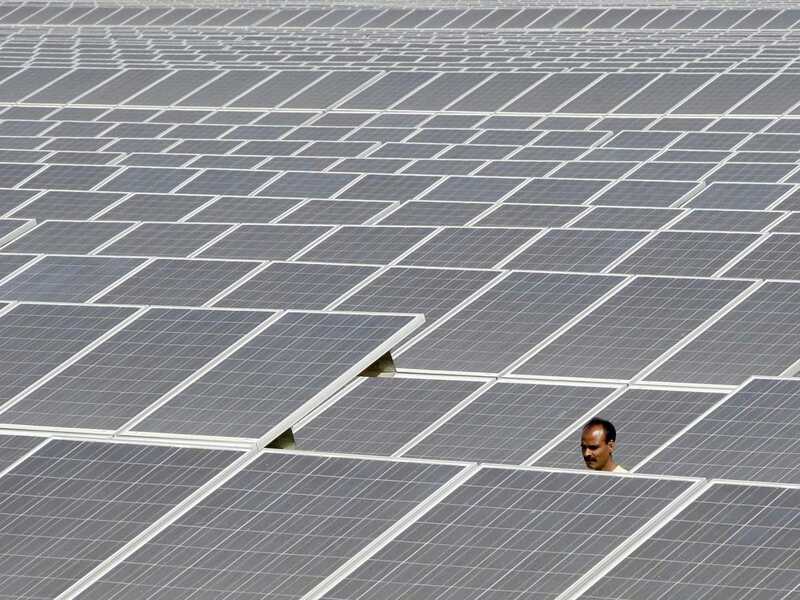 Since 2010, India has hiked installed solar power capacity from a meagre 17.8 megawatts to more than 2,000MW, official figures show, as part of Prime Minister Manmohan Singh's aim to make "the sun occupy centre-stage" in the country's energy mix. Key to the progress has been a rapid fall in the cost per unit of solar electricity to close to what is known as "grid parity" -- the cost of conventional electricity generated by carbon-gas emitting coal. ... The next stage of expansion will see India build the world's largest solar plant to generate 4,000MW on the shores of a saltwater lake in the northwestern desert state of Rajasthan, which should drive solar power costs even lower. Operators believe economies of scale from the 280-billion-rupee ($4.4 billion) Sambhar plant to be constructed over the next seven years will reduce prices to 5.0-5.5 rupees a kilowatt-hour. "This is the first project of this scale anywhere in the world" and "is expected to set a trend for large-scale solar power developments," said Ashvini Kumar, director of Solar Energy Corp, one of five public utilities that will run the plant.